Classroom meetings are an important part of the Olweus Bullying Prevention Program (OBPP) and an excellent time to introduce students to anonymous online bullying reporting with BRIM. In the OBPP, classroom meetings are used to create a safe and respectful learning environment. 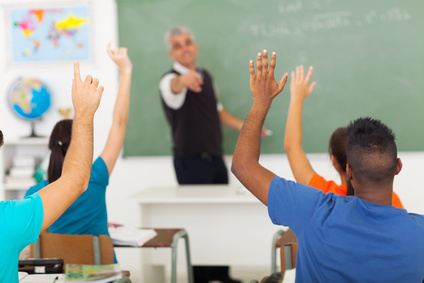 Classroom meetings take 20-30 minutes during which time the teacher and students discuss an issue affecting the class. Classroom meetings are an invaluable tool and can be used to tackle any number of issues including bullying. Research has shown that students do not report bullying and harassment for fear of reprisal or being labelled a ‘snitch’ by their classmates. The National Education Associates reports that over 160,000 students skip school every day for fear of being bullied (Borba, 2005). The Missouri School Resources Officers Association estimated half of bullying incidents in their schools go unreported by students. For your school’s anti-bullying intiatives to be a success, you must provide a way to get the other 50% to report incidents. During classroom meetings, online bullying reporting with BRIM can be communicated as a way for students to safely speak out against bullying. The process of how a student goes about reporting an incident with BRIM should be covered. For most schools, this means the student needs to go to the school website, click the ‘Report an Incident’ button then complete the reporting form.